According to the 2017 Cost vs. Value publication for the Grand Rapids Michigan area; Kitchen Remodels range from $19,000 for a minor kitchen remodel up to $57,000 for a major kitchen renovation. The cost range varies significantly between a minor kitchen remodel and major kitchen renovation. Some factors are the age of your home and the overall remodel scope of work. The age of your home has a huge impact on your remodeling scope and budget. In many of these older homes we see customers adding larger scopes of work to accomplish their dream kitchen. Older homes need more updates to electrical and plumbing to meet current building codes then newly remodeled homes. Changing layouts or removing walls to add more space can significantly add cost to your project as well. The finishes and fixtures you select can make or break your remodeling budget. Todays customers are influenced by the newest trends on HGTV and many of the popular home improvement programs. High-end finishes such as tile and recessed lighting translated well on TV it can effect the overall cost of your new kitchen remodel. Still many homeowners are choosing to use a few select or all high-end finishes in their kitchen remodeling projects. Below we’ve given four examples to help you understand how the cost can vary from one type of remodel to another based on the scope of work and how different types of finishes can add to your project costs. These examples should help you gain a realistic target budget for your kitchen remodeling project. In a functional but dated 200-square-foot kitchen with 30 linear feet of cabinetry and countertops. Leave the cabinet footprint/layout in place; replace with in stock or builder grade cabinetry, including new hardware. Replace existing appliances with new energy-efficient low-mid priced models. Replace laminate countertops with new laminate counter tops; install mid-priced sink and faucet. Remove and replace flooring with mid-range floating floor. 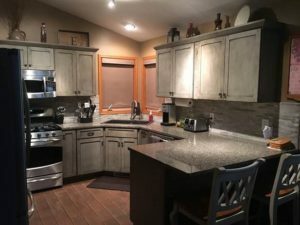 *No drywall work, tile backsplash, or electrical updates to code; Minor Kitchen Remodels are only classified as a remove, replace, and refresh project. Change the cabinet footprint/layout; replace with special order mid-priced cabinetry, including new hardware. Changing the footprint/layout requires electrical to be updated to code, move wiring, and updated lighting such as recessed light with LED trims. Plumbing will need to be moved and/or updated to accommodate the new cabinet footprint/layout. Drywall replacement and repairs will be needed for the electrical updates, and removal of old backsplash materials. Replace existing appliances with new energy-efficient mid priced models. Replace laminate countertops with quartz or granite; install mid-priced sink and faucet. Tile backsplash with either subway or mosaics tiles. Homeowner paints: walls, ceiling and trim. *No structural work is included in this scope example such as bulkhead removal or moving walls, pantries or closets. Removing bulkheads, walls, pantries and or closets, expanding the overall size and space of your existing kitchen. 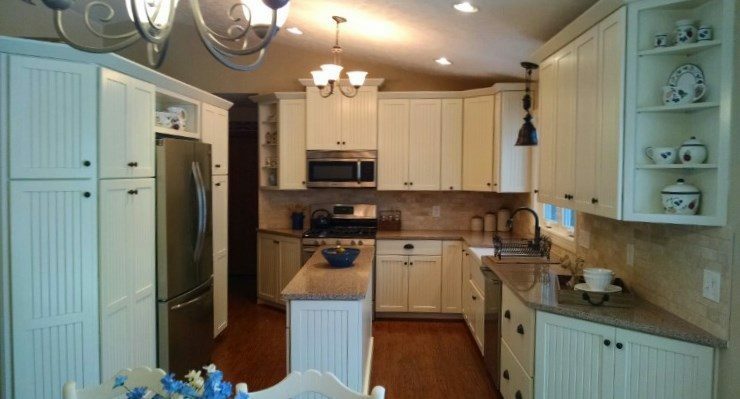 Replace existing cabinetry with special order or custom cabinetry, including new hardware. Changing the footprint/layout, removing bulkheads and or walls requires electrical to be updated to code, move wiring, and updated lighting such as recessed light with LED trims, adding specialty lighting such as pendants over island. Drywall replacement and repairs will be needed from removal of bulkheads, walls, electrical updates, and removal of old backsplash materials. Replace existing appliances with new energy-efficient mid to high-end priced models. 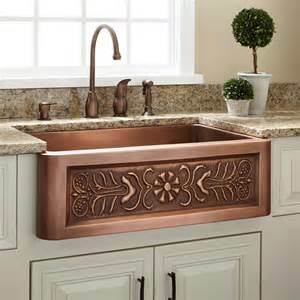 Replace laminate countertops with quartz, granite or specialty materials; install farm sink and higher end faucet. Tile backsplash with a combination of subway and mosaics tiles adding a border. Remove and replace flooring with hardwood, engineered or tile flooring. Paint walls, ceiling, window, base and door trim. *Remember the more scope of work, the higher end the finishes the more overall cost it will add to your project.